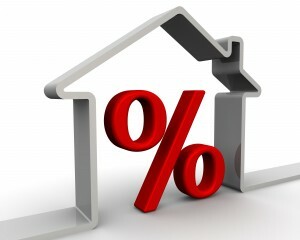 Can You Take Advantage Of Falling Mortgage Rates? The implications of Brexit on the UK property sector was widely predicted to have a negative impact on both commercial and residential markets, and in the coming weeks and months, homeowners will be nervously looking at the economic forecasts for any signs of a squeeze on their finances or home values. Early signs are that Brexit uncertainty, low swap rates, and a possible future base rate drop, are causing a wave of price-cutting by mortgage lenders that could push two-year fixed rates as low as 0.95 per cent – with several lenders announcing lower rates, or having made competitive changes, following the referendum result last month. Mortgage experts also believe, that although lenders are holding fire at the moment, they are likely to seriously start cutting rates in the next few weeks, which could provide an opportunity to fix a low rate home loan for 2, 5 or even 10 years, therefore giving many families more long-term confidence. Five-year fixed rates are currently available for 2.09% with 50% loan to value, and with the Bank of England hinting that interest rates are likely to reduce rather than increase, and with the price of 10-year gilts falling, longer term fixed deals are likely to become even cheaper in the coming weeks. Now may be the perfect time to speak with us about remortgaging your home, or discussing taking full advantage of the current deals – remember, we are able to cherry-pick from the whole market rather being tied to one lender, and able to secure the perfect deal for you six months ahead of your current deal ending.